Stefan Sommer: Very dynamically; the gaming market in general is growing in Europe as well as globally. Experts expect double-digit growing rates until 2021 with a 10.3% CAGR. The market for gaming displays is growing with it as well. What is the situation like for AOC in the gaming display market? Stefan Sommer: I can say without exaggeration that it is very good. We have a large portfolio of gaming displays that caters towards all sorts of high-demand gaming areas. AOC offers a wide range of options – be it features such as high frame rates up to 240 Hz for fans of competitive gaming and esports or curved displays with high quality IPS and VA panels that support an especially immersive gaming experience for fans of open world RPGs. In short: we can provide the perfect gaming display for practically each and every requirement a gamer might have. What was gamescom 2018 like for you? Stefan Sommer: with more than 370,000 visitors this year, gamescom is the best proof that gaming has become a constant fixture in society. 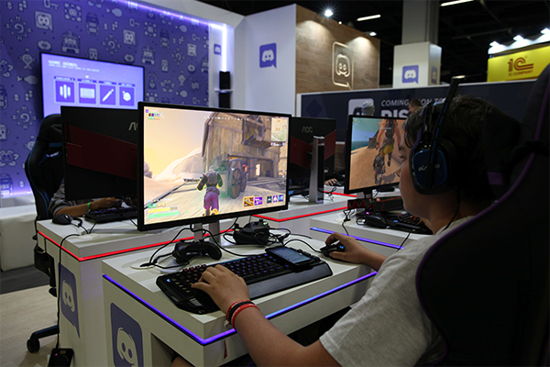 The number of video gamers worldwide is increasing rapidly and expected to reach 2.6 billion people in 2020, and it already became a massive spectator sport as well, so it is no surprise that the attendance of such gaming fairs are increasing, too. Gamers and specialist visitors were impressed by our innovations. They were especially interested in the latest models from our premium AGON line-up – AGON 3. Both are 27” curved QHD monitors sporting a slim, futuristic, and award-winning design. We have the AG273QCX with FreeSync 2 HDR, VESA DisplayHDR 400 support as well as 1 ms MPRT and 144 Hz refresh rate. And then there is the AG273QCG with G-SYNC support, 1 ms GtG, and a refresh rate of165 Hz. What are the products that make AOC a particularly successful contender in the gaming sector? Stefan Sommer: where AOC really shines is its premium gaming monitors: the AGON line-up. 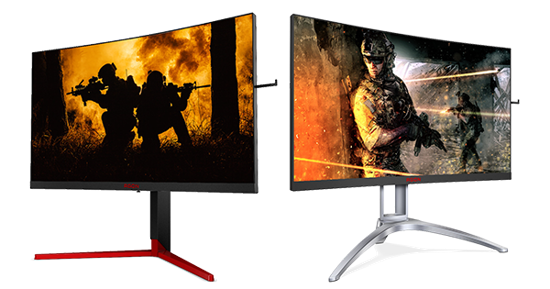 These high-end displays range from 24” to 35” in size and come with refresh rates from 120 Hz up to the competitive 240 Hz, ideal for fast-paced FPS titles. Supporting either Nvidia G-SYNC or AMD FreeSync, super low response times, and an ultralow input lag, the AGON line targets gamers who are serious about gaming. They are robust yet impressively designed and full of smart features, such as Shadow Control, a headset holder, and a height adjustable stand with labels to mark the position! How is AOC engaged with the gaming community? Stefan Sommer: For years, being close to the gaming community worldwide has been very important to AOC. We work with esport teams, gaming-related organisations, and numerous events, globally, nationally, and regionally. In January, AOC partnered up with G2 Esports, one of the most powerful and successful esports organisations worldwide. Founded in 2013 by renowned pro player Carlos ‘ocelote’ Rodriguez, G2 Esports quickly established themselves as a titan of the European circuit at various international esports events, with an impressive track record and many, many titles won. The partnership is extremely important for us as we develop our products with and for gamers. We also are highly engaged in supporting smaller, local events and LAN parties as well as educating the broader audience about the benefits of gaming.